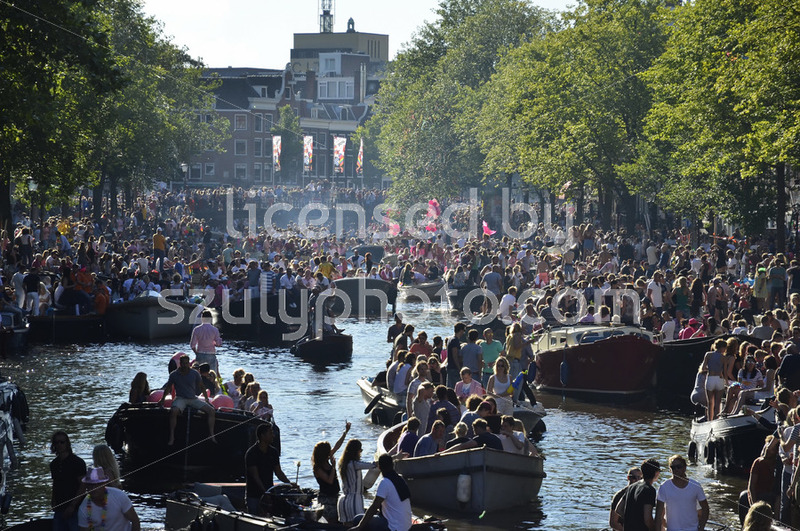 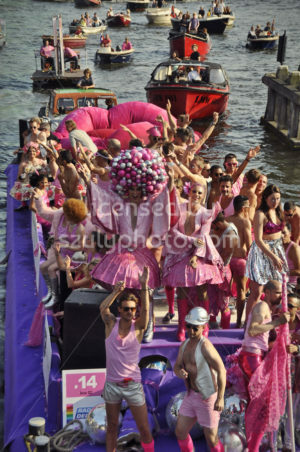 Amsterdam, Netherlands – August, 2015: A boat full of party people arriving to the Ijhaven port, after the famous boat parade at the Pride 2015 event. 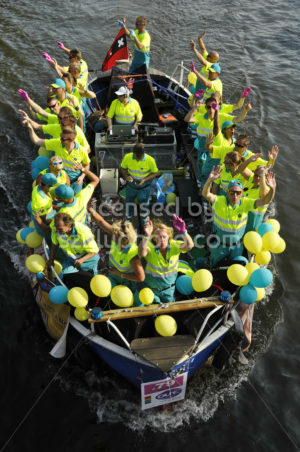 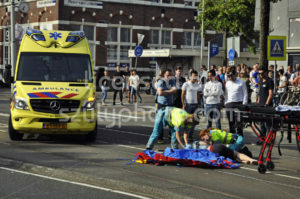 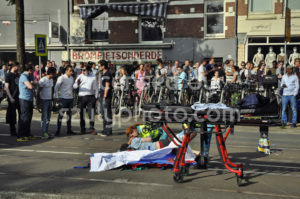 Amsterdam, Netherlands – August, 2015: The boat of the Ambulance service, cruising with participants. 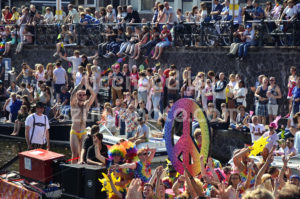 The boat is viewed from above, as it arrives to the Ijhaven port after the boat parade at the Pride 2015 event. 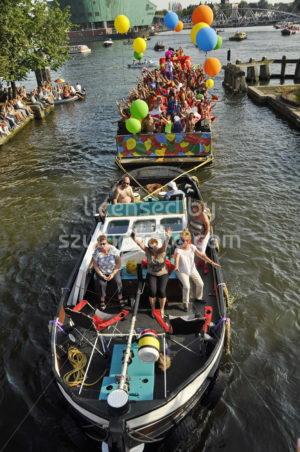 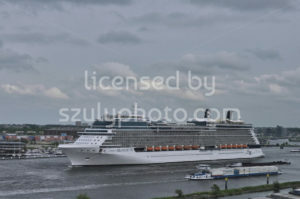 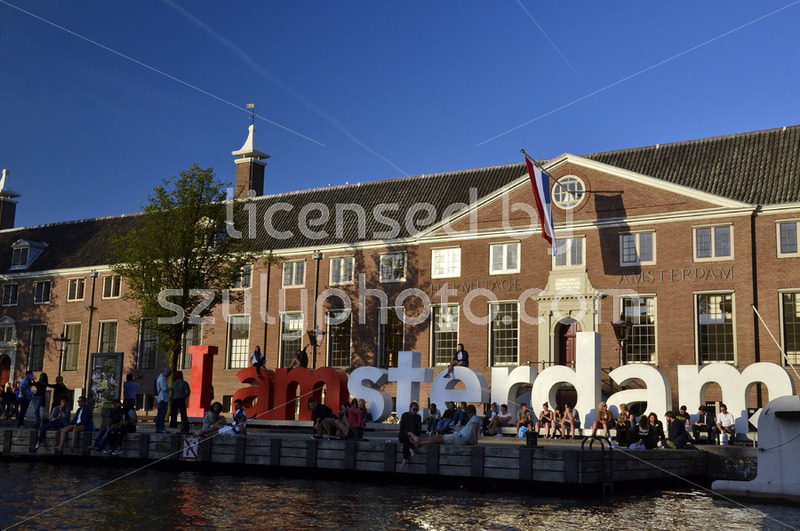 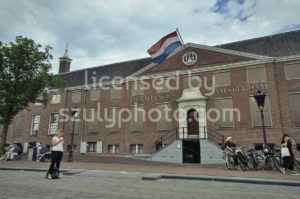 Amsterdam, Netherlands – August, 2015: A party boat with participants on board, arriving to the Ijhaven port. 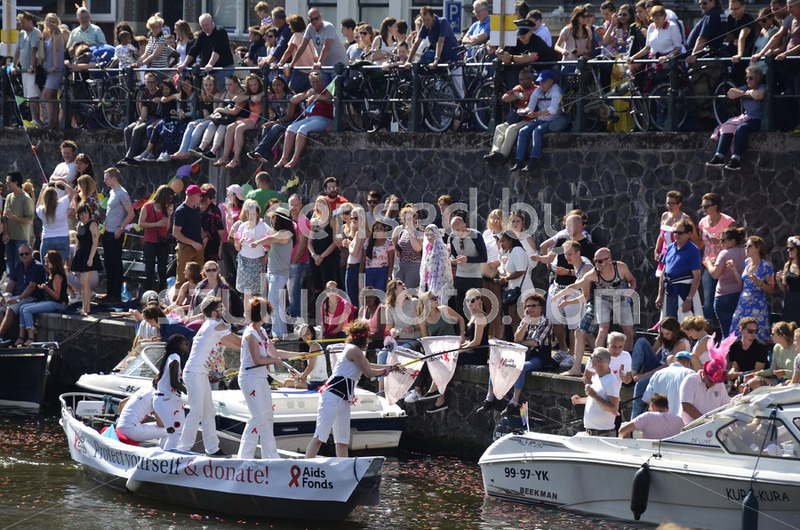 The cruise is part of the boat parade at the Pride 2015, an annual public event about diversity. 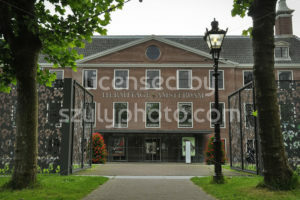 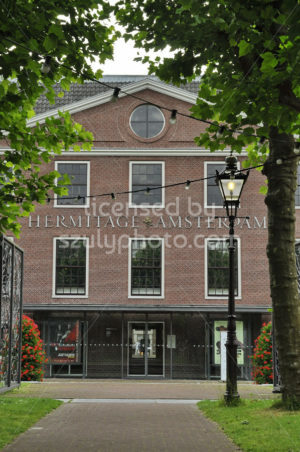 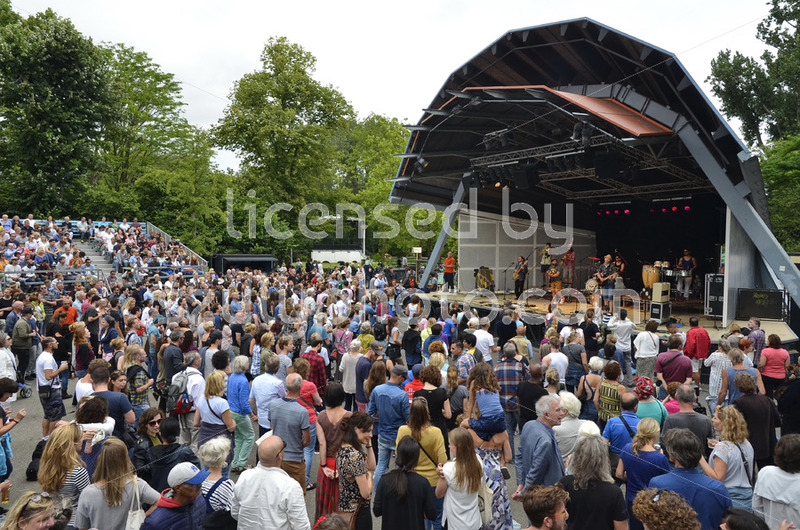 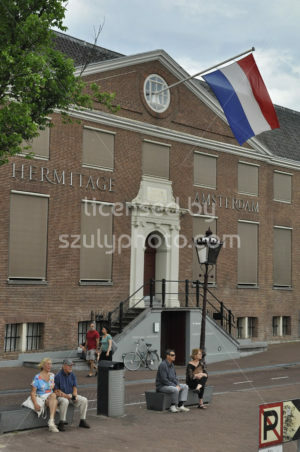 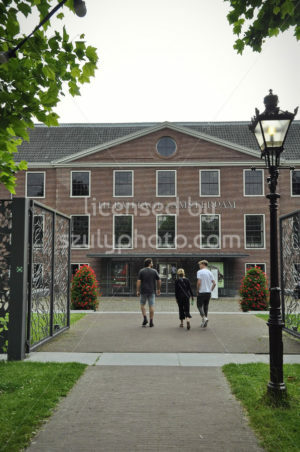 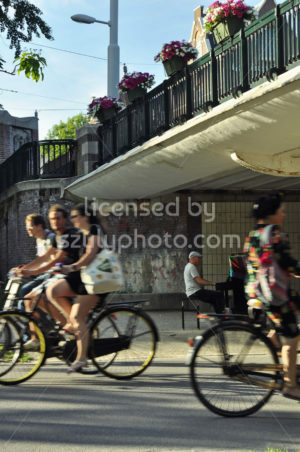 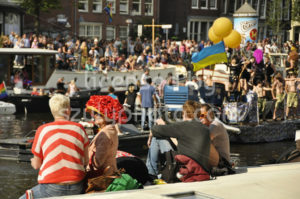 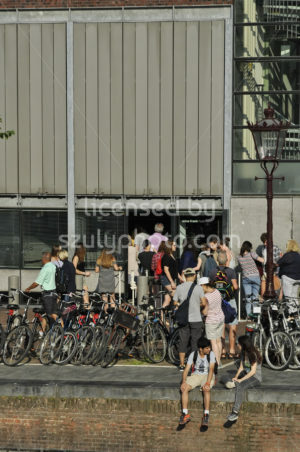 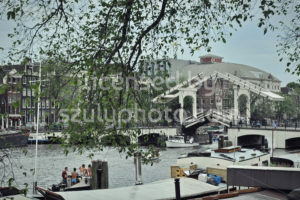 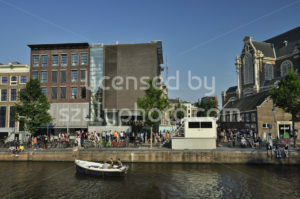 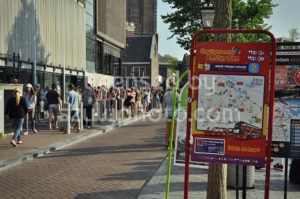 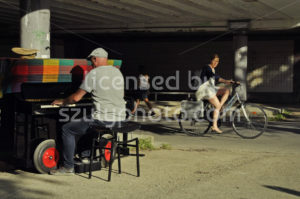 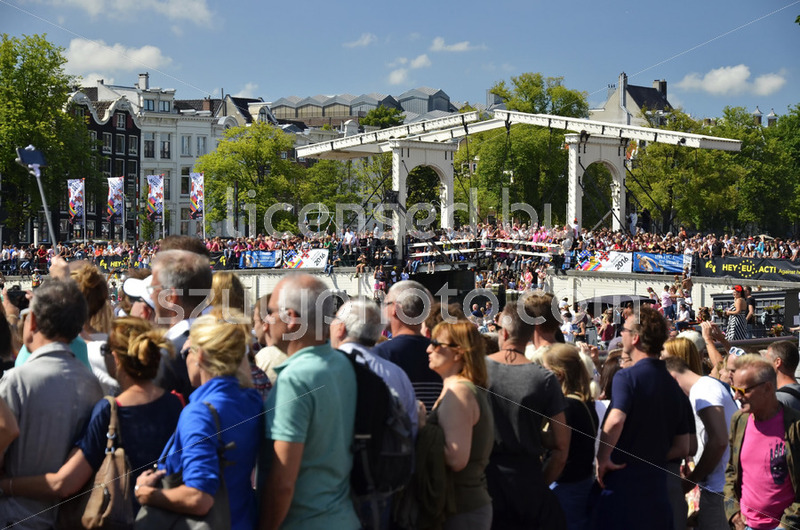 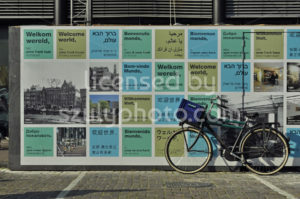 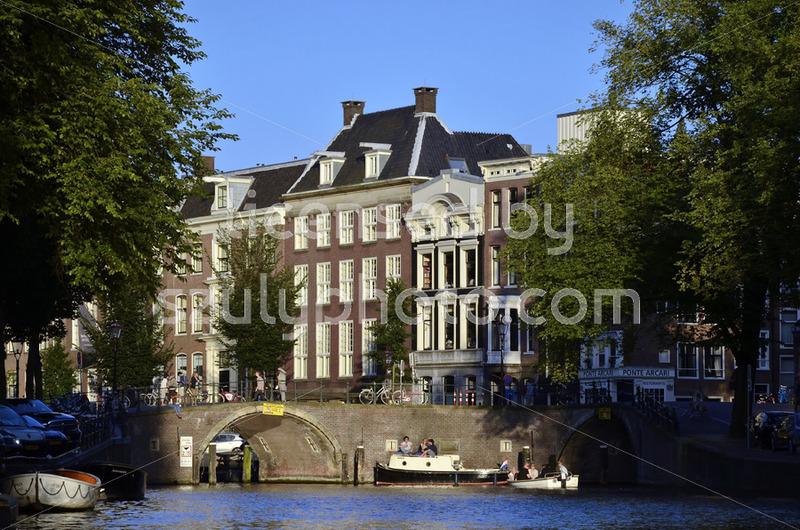 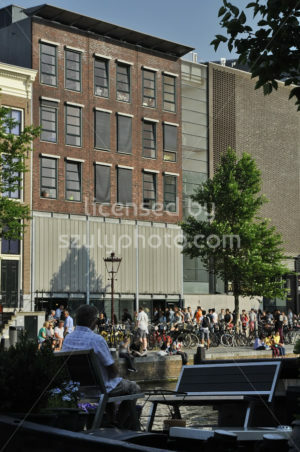 Amsterdam, Netherlands – August, 2015: Back view of spectators, sitting on the side of a canal watching the boat parade at the time of the Pride 2015 event.